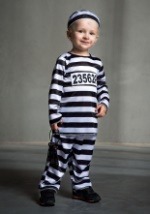 This Time Out Infant Prisoner Costume will make your tot look like a hardened convict! 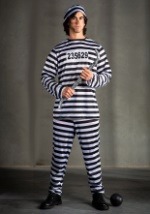 The 100% polyester interlock knit jumpsuit has velcro at the back of the neck and snaps in the inseams. 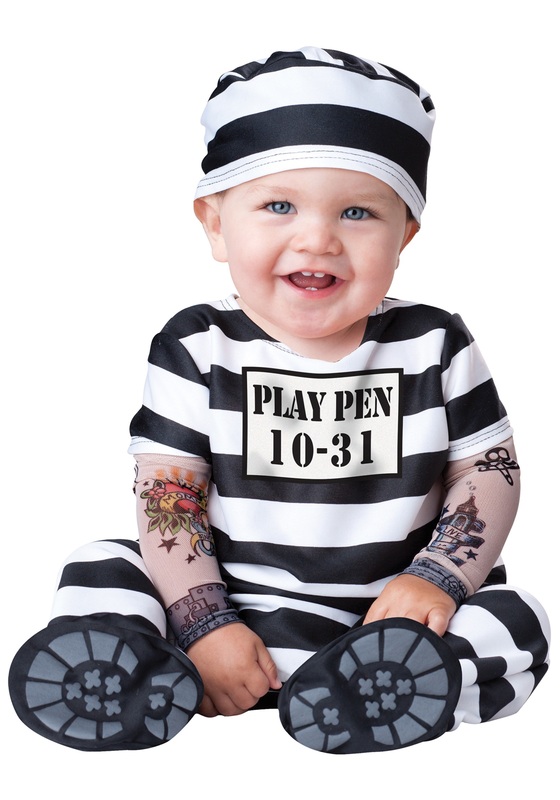 It's black and white striped with the words "PLAY PEN 10-31" on the chest. Attached tan mesh sleeves have various prison tattoos printed on them. 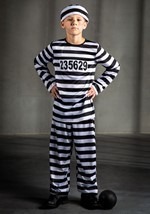 Shackles are printed on the wrists of the sleeves. 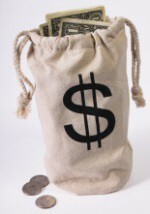 The jumpsuit has attached booties with skid-resistant soles. 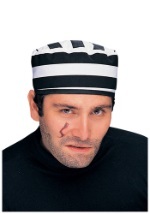 A classic black and white striped convict cap is included. 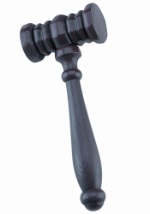 Maybe he can earn time off for good behavior!